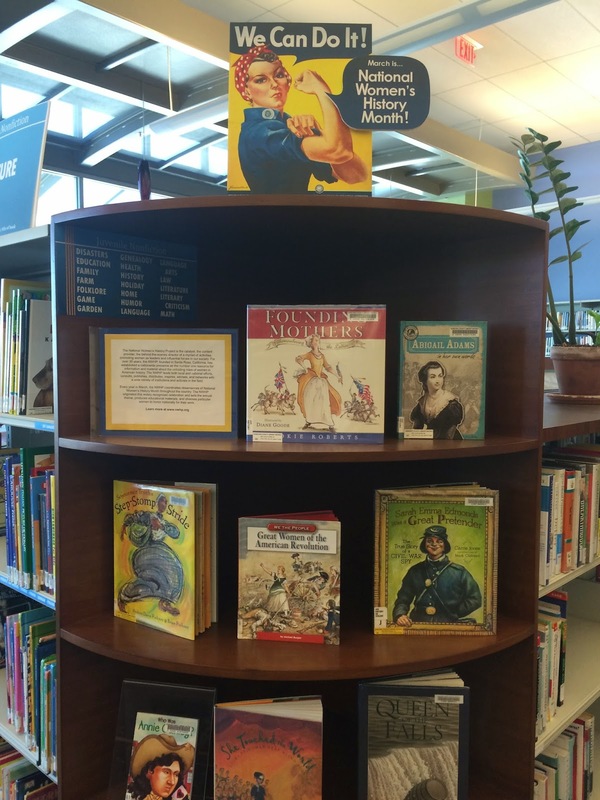 Even though the month is nearly over, I thought I'd show you the quick and easy display I did for March, aka Women's History Month. The ever classy and macho Rosie the Riveter was an easy choice. All I did was add an extra speech bubble! 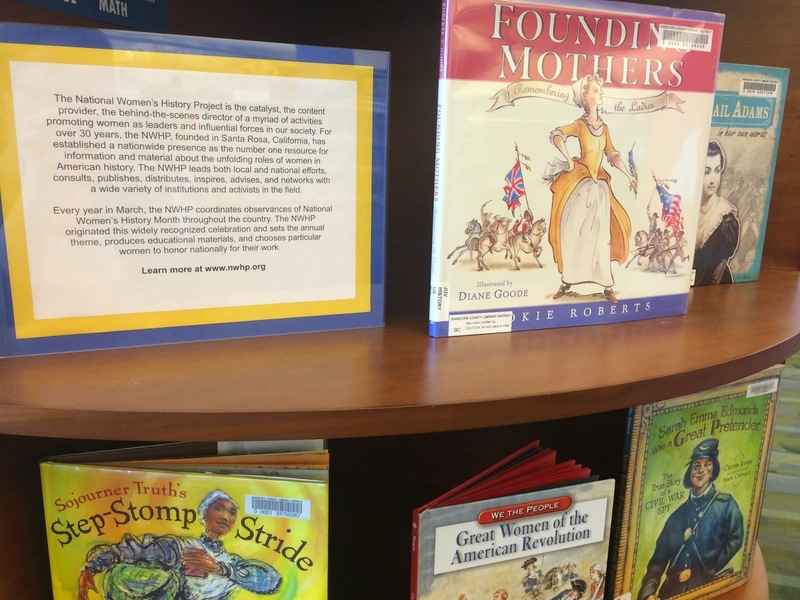 Turns out, it was a perfect way to highlight the biographies of lots of amazing women. 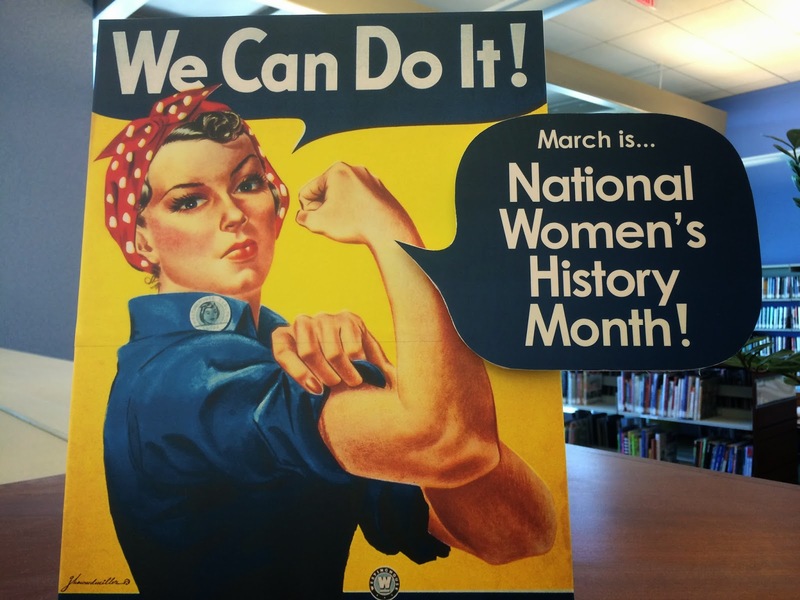 I also included a small history of the National Women's History Project, from their website.